Hey! Pixels are people too! Or at least, that’s what Tic Toc Games’ platformer, The Adventures of Pip would have you believe. 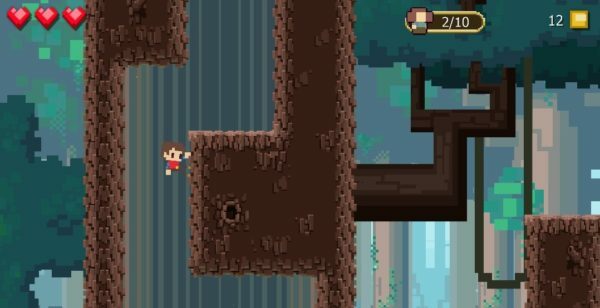 Adventures of Pip is a 2D side scroller with action and puzzle elements starring Pip, a large blocky red pixel who exists in a magical world full of 8, 16, and 32 bit characters where one’s resolution determines one’s social standing. 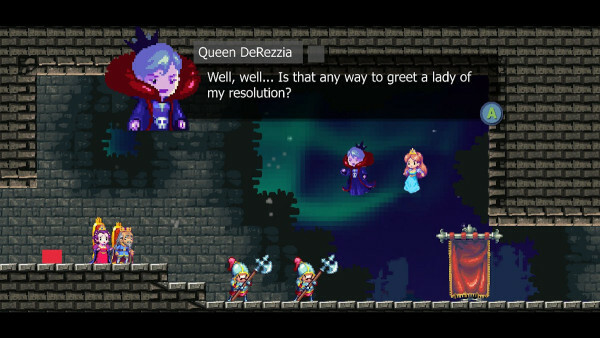 One day, an evil queen attacks your kingdom, transforming your very high res king and queen into pixels, kidnapping their daughter Princess Adeline and pretty much the the rest of the townsfolk as well. And in true unlikely hero fashion, it’s Pip to the rescue. 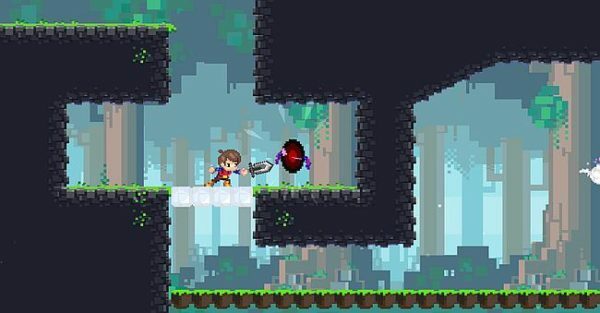 The core gameplay mechanic is that as Pip progresses, he can evolve into an 8-bit human, and then a 16-bit human with a sword by attacking certain glowing enemies. He can also devolve at the press of a button. Why devolve? Each of Pip’s forms have different abilities that help him progress through each world. For example, certain tunnels are only accessible by Pixel Pip, and there are wind generators that will launch him in the air, but 16-bit Pip is too large for some passages and won’t get lifted by the wind. So that sword may be handy for doling out justice for your kingdom, but you’re forced to give it up. Often, very soon after you get it. However, the certain enemies you need to destroy to evolve are quite plentiful and you wont be stuck as any one form for too long. This mechanic is used perfectly in conjunction with the wonderful level design. It will make you stop and think a few times at least. Having to time some moving platforms with switches took me a few tries to figure out, but I was trying to rush it. Patience is rewarded here. Same goes for the bosses. Study their patterns, grasshopper. Strike when the moment is right. Along with the Raymanesque platforming (It’s a word now. Deal with it. ), there are townspeople to save along the way, three per level. They’re hidden quite well and I happily sought them out, missing only a few still, but I’ll find ’em. At any time you can go back to your town and interact with all the citizens you’ve rescued, and some of them own shops that sell consumables, health upgrades and extra abilities. It would be really cool, except it takes you FOREVER to collect enough treasure to buy stuff that would matter. You can buy an item that increases the amount of treasure you find, but it still takes a while to save for anything good. The Adventures of Pip is a standout in retro-styled platforming. Tic Toc has created an adventure game with a really cool gimmick that switches up your gameplay so often, it’s hard to get bored. My first sit down with the game, I went through almost half of it. It is a long game too, making it well worth the meager fifteen dollar price tag. Lots o’ fun. 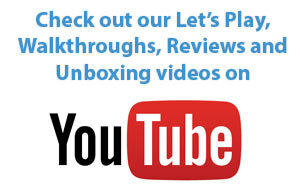 If you’re looking for a fun platformer with something new to offer, guess what? It’s in the eShop.